But....I have been on vacation the last two weeks (glorious!) 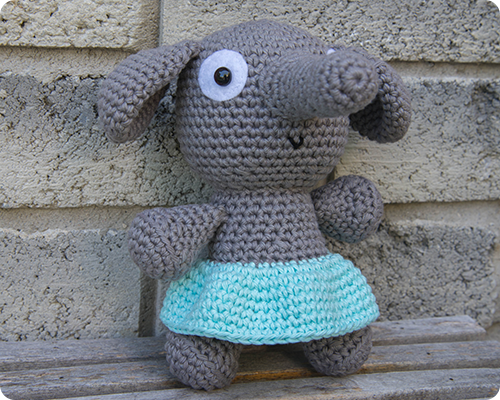 and as a result have had some serious crafting time, and with that, the little elephant that I began crocheting back in May is now finished. Isn't she adorable? You bet she is. And she is all mine, currently sitting on the dresser in our bedroom, making me oh so very happy every time I see her. 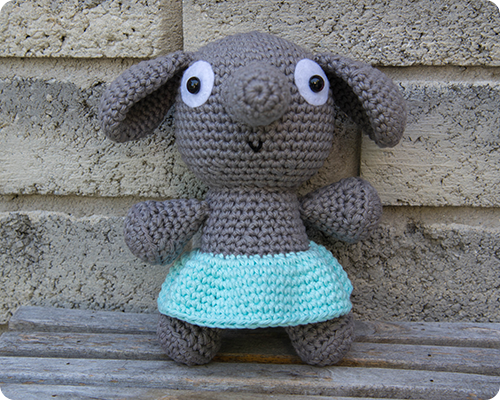 While I love to make these toys, I do tend to morph into an obsessive-perfectionist when it comes time to join all the pieces together: I count and recount the stitches between the arms and legs, find the center countless times, leave ends undone for days while I look at the toy from every angle...all to make sure that everything is exactly straight and centered. I got this way when finishing off Ellie, so much so that Steve exclaimed "good grief, you did a great job, stop nit-picking your work". And he was right, it was time to move on, time to stop obsessing. This was last night, and today when I looked at Ellie again I loved what I saw and walked away without recounting anything....no more nit-picking. 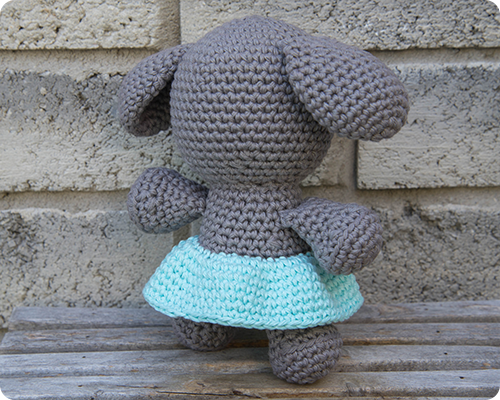 As for my yarn choices, I used Bernat Handicrafter cotton from my stash to crochet this cutie; I am still stash busting and even resisted a trip to the local yarn sale, remaining firm in my decision to work only from the yarn I have on hand....yeah me!